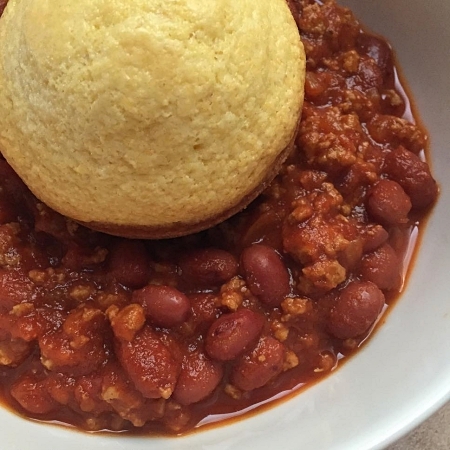 This is an ordinary, plain ol', simple chili recipe. Sometimes you just need to go back to the basics, right? I always use ground turkey, because my family likes it better than beef, but you could use either one. In a medium pot, heat oil and brown ground turkey with onions and garlic. Add the tomatoes, tomato sauce, chili powder, and cumin. Simmer for about 1 hour, adding beans after 30 minutes. I like to serve this with corn muffins.